You're invited to join me Wednesday (March 27) to stamp a stack of lovely cards! 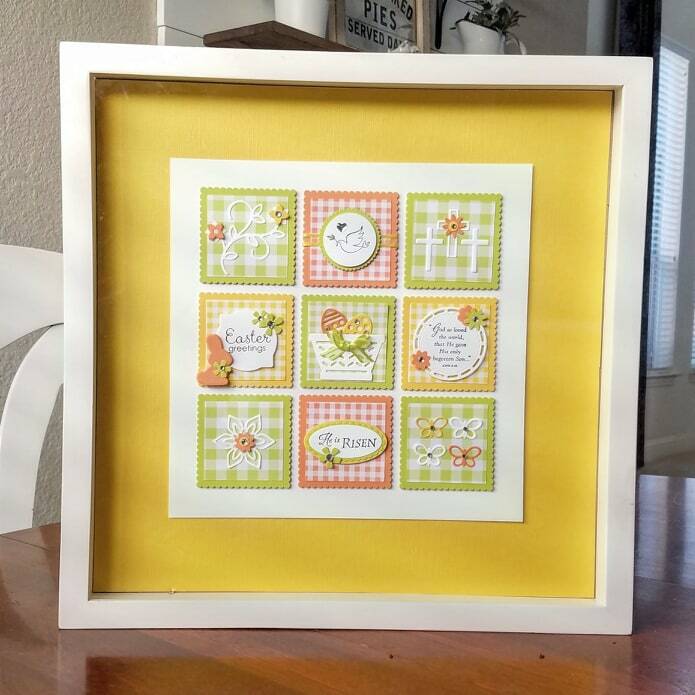 You'll make 4 each of the 3 designs previewed above with several greetings to choose from. Just bring scissors and adhesive - I'll have everything else you need including envelopes and snacks! *Hope to see you then! 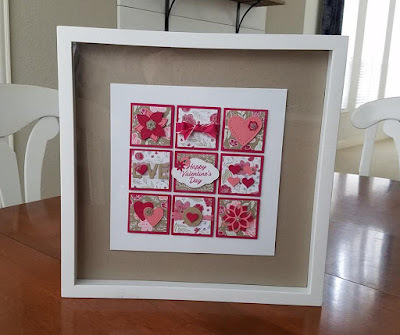 Your'e invited to my February Stamp-a-Stack of Cards Class! 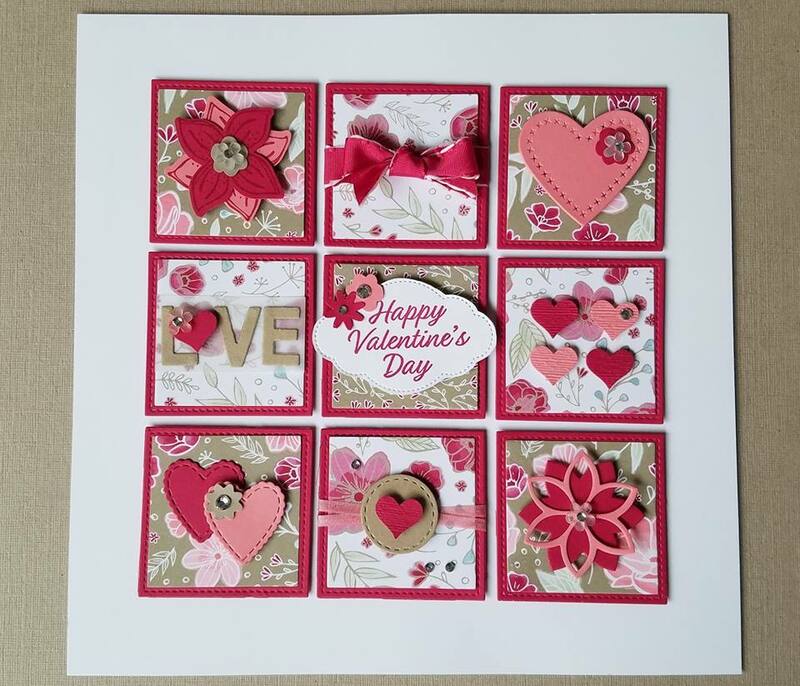 You will make 12 cards, 4 each of the 3 previewed above. 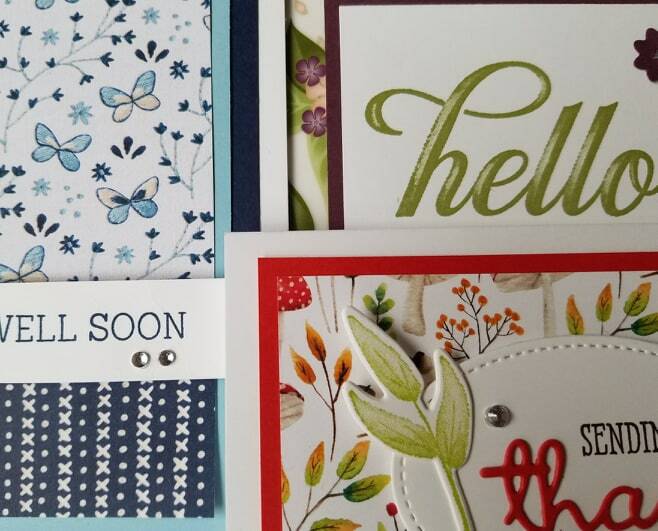 This month's cards feature a variety of greetings, including thanks, hello, get well, happy birthday....you get to pick, and you won't be disappointed! RSVP: Please no later than Monday, February 25. January Stamp-a-Stack of cards class! 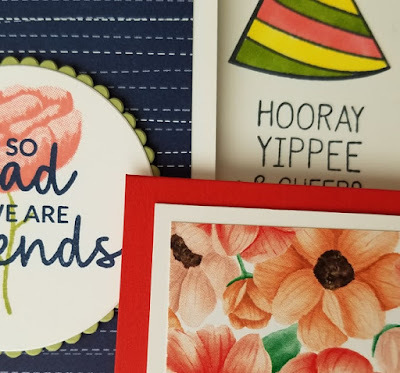 You're invited to my first SAS of 2019! 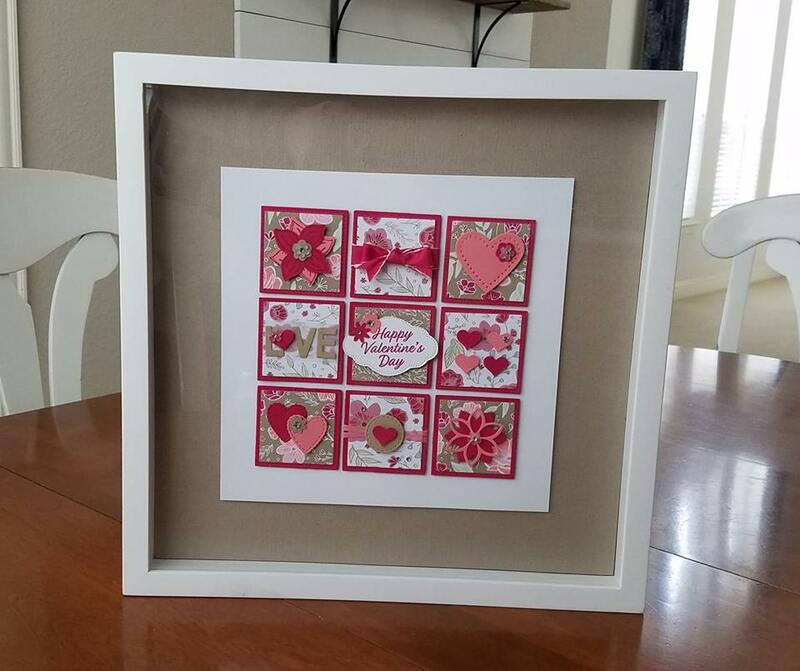 That means we'll be using all sorts of new stamps & papers. 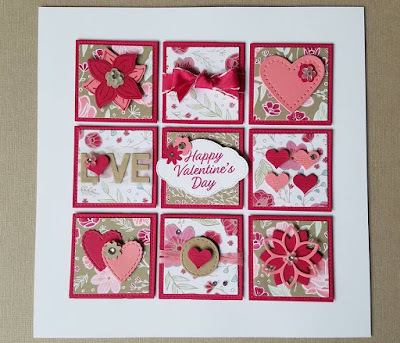 This month you'll make 2 cards with general greetings, and 1 Valentine card! 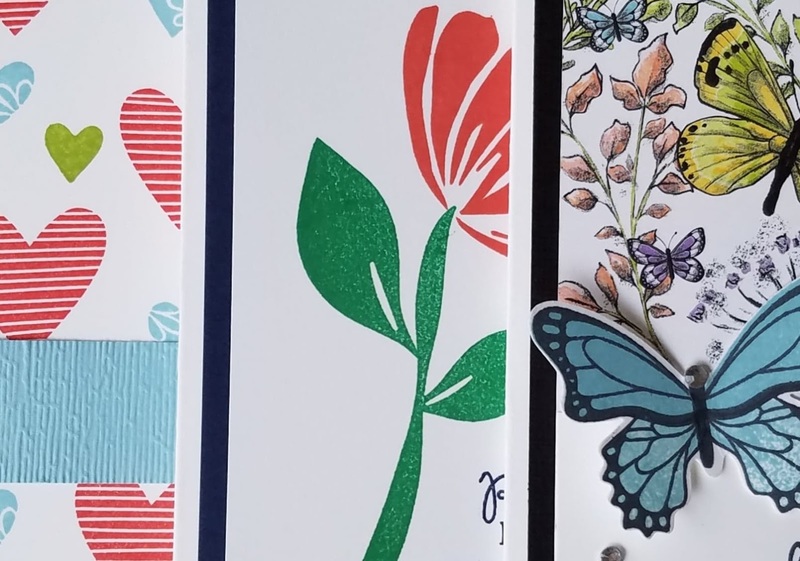 You'll make 4 of each of the 3 designs previewed above. 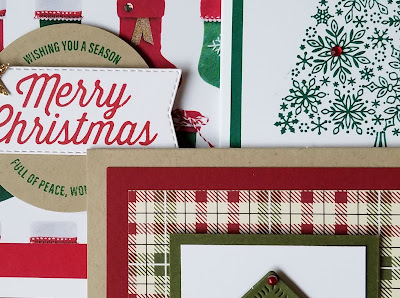 It's time to make gift cards, ornaments, cards, trees, and more!! 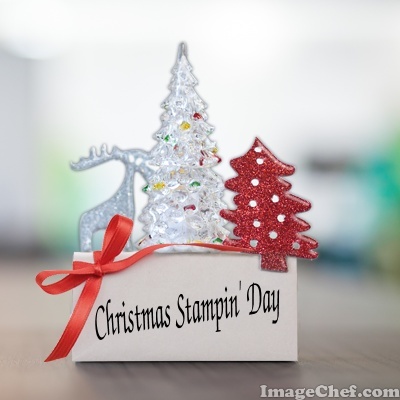 You're all invited to my most fun event of the year - Christmas Stampin' Day!! You'll leave with a whole bunch of adorable and useful gifts & cards to keep or share. Projects are easy, and you'll receive a pdf of the instructions so you can make more if you like! Hurry and sign up - spots are limited & filling up fast! When: Saturday, December 1 10:00 - ?? 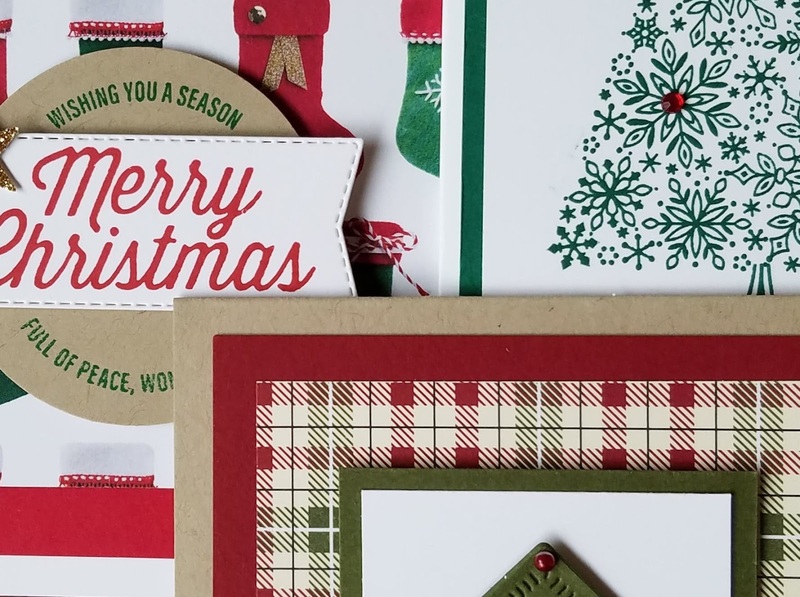 What: Stamp a stack of 12 Christmas Cards Class. 4 each of the 3 cards previewed above. RSVP: Please by Monday, November 12.